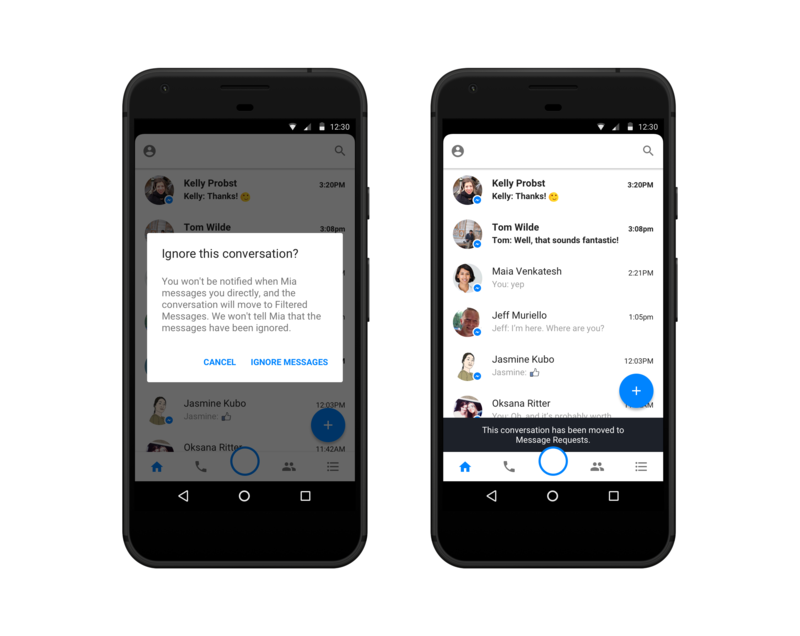 Today we are announcing new tools to prevent harassment on Facebook and in Messenger – part of our ongoing efforts to build a safe community. We already prohibit bullying and harassment on Facebook, and people can let us know when they see something concerning or have a bad experience. We review reports and take action on abuse, like removing content, disabling accounts, and limiting certain features like commenting for people who have violated our Community Standards. People can also control what they share, who they share it with, and who can communicate with them. These new features for personal profiles give people additional ways to manage their experience on Facebook. We’ve heard stories from people who have blocked someone only to encounter the same harasser using a different account. In order to help prevent those bad encounters, we are building on existing features that prevent fake and inauthentic accounts on Facebook. These automated features help us identify fake accounts more quickly and block millions of them at registration every day. However, sometimes a new account created by someone who was previously blocked might not get caught by these features. We are now using various signals (like an IP address) to help us proactively recognize this type of account and prevent its owner from sending a message or friend request to the person who blocked the original account. The person who blocked the original account is in control, and must initiate contact with the new account in order for them to interact normally. If someone is being harassed, blocking the abuser sometimes prompts additional harassment, particularly offline. We’ve also heard from groups that work with survivors of domestic violence that being able to see messages is often a valuable tool to assess if there is risk of additional abuse. Now, you can tap on a message to ignore the conversation. This disables notifications and moves the conversation from your inbox to your Filtered Messages folder. You can read messages in the conversation without the sender seeing if they’ve been read. This feature is now available for one on one conversations and will soon be available broadly for group messages, too. Facebook works with experts in a variety of fields to provide safety resources to people. For example, we’ve developed new resources for survivors of domestic violence in partnership with the National Network to End Domestic Violence. This is in addition to our work with more than 150 safety experts over the last year in India, Ireland, Kenya, the Netherlands, Spain, Turkey, Sweden and the US to get feedback on ways we can improve. We have also convened roundtables with the Facebook Journalism Project to learn more about the unique experiences of the journalist community on Facebook. This culminated in the features we’re making available today, as well as resources for journalists to help them protect their themselves on Facebook.